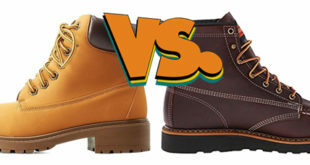 A solid pair of work boots is a worthy investment if you spend all day on your feet. Not only do they keep you comfortable, but they’re also designed to keep you protected from the hazards of your job. Many people hold onto their work boots for as long as possible. 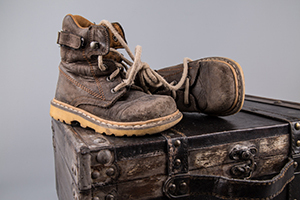 It’s not uncommon to see workers mending their damaged boots with quick fixes. While quick repair work may be great for saving some money, you’re not doing yourself any favors when it comes to comfort and protection. Work boots don’t have an infinite lifespan. Even the most well-built pair of boots will need to be replaced every once in a while. Your boots are put through the ringer every day you’re on the clock. As a result, they can become damaged pretty quickly. In many cases, you won’t even notice the damage. However, you’ll feel the effects. So how often do you need to upgrade your work boots? 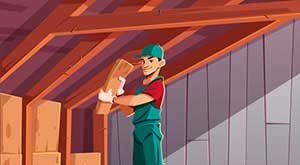 Here are some telltale signs of damage that you should look out for. 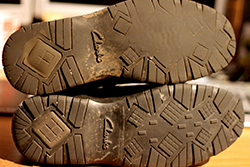 The outsoles on your boots make contact with rough surfaces on a regular basis. They’re also put under enormous stress each time you walk. 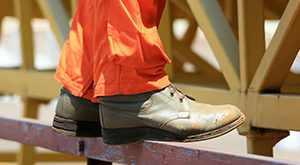 Whether you work in the mud, on hard concrete, or around slick surfaces, the bottoms of your boots will take a beating. You should check out your soles to see how worn the treads are. If the tread design is difficult to see, it’s time for a replacement. You may also start to feel the effects of worn soles. Your steps may feel less secure. It’s important to invest in a new pair of boots whenever this happens. The longer you wait, the higher the risks of you falling and experiencing an injury. Soles can only last so long. Most can last 300-500 miles. While this may seem like an extreme number, it usually takes laborers about six months to walk that distance. Even if you feel like you don’t do much walking each day, the miles add up quickly. Obviously, your soles will wear out much quicker if you do a lot of walking. It’s a good idea to keep track. If you wear a pedometer or smartwatch, use that information to get a better idea of when you need to replace your boots. The midsoles are found between the outsoles and the insoles. They’re often made of thick EVA foam and help to absorb some of the force of impact as you walk. Midsoles can start to lose their shape relatively quickly. They can compress over time and take on a wrinkly appearance. When this happens, you may even notice that the bump in height you received when wearing your boots has decreased. This part of your boots is very important to your overall comfort. It supports your foot and protects your leg. When it because damaged or worn, you’ll start to feel pressure in your legs and joints. You may start to feel pain at the end of the day. That’s because the force of impact from walking on hard surfaces was able to travel up your leg and into your bones. If you fail to get new boots, you can start to suffer from conditions like plantar fasciitis, shin splints, and much more. Having the right amount of flexibility in your boots is crucial. They need to be flexible enough to provide you with better control of your feet but not so flexible that they don’t give you enough foot support. While many people go the extra mile to add flexibility to their boots during the break-in process, boots will become too elastic over time. The easiest way to test this is by simply folding the boots in half. Hold the boots up and bend the toe back to the heel. If you are even remotely close to being able to touch the heel, your boots are way too worn for you to use in a work environment. The increased flexibility means that the soles of your boots aren’t providing you with enough support and protection. Chances are, they’re not doing much to absorb shock. The soles may have thinned out as well. This could prove to be pretty painful if you should step on any sharp objects. When the uppers of your boots start to separate from the soles, you need to get some near boots. This issue is often referred to as “talking.” The colorful name comes from the flapping of your outsole as you walk. This type of damage can be very dangerous. The constant flapping of your outsole can cause you to trip. The separation will get worse the more you ignore it. Eventually, the separation can stretch all the way back to your arch. Before you know it, the flapping sole will fold underneath your foot, resulting in a dangerous fall. Some people choose to repair this problem instead of getting new boots. Typically, glue is used to adhere the two components together again. While this may provide a quick temporary fix, it’s not a good long-term solution. The glue will not hold up very long in a rough work environment. Furthermore, a simple gluing will change the way the soles react to pressure. It could do more harm than good. Holes, tears, and other obvious signs of physical damage should be taken care of as soon as possible. When your uppers become compromised, you’re putting your feet at risk for damage. Even a small hole can lead to significant issues. 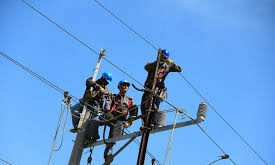 If you work around water, dangerous chemicals, extreme heat, or electricity, you’re putting yourself at an even bigger risk. Small holes can become big ones very fast. Avoid quick fixes and invest in a solid pair of new work boots. While most work boots need to be replaced every six months or so, there are some ways you can increase that lifespan. These tips can help you make the most out of your investment and ensure that you’re always protected. If you don’t want to buy a new pair of boots every six months, invest in multiple pairs at one time. You can buy a few pairs of high-quality boots and alternate between them. With two pairs of boots, you can double their lifespan. Each pair will experience less damage over time. These days, work boots are quite stylish. While you may be tempted to wear them out on your day off, you should avoid this as much as possible. Doing so will only result in quicker wear and more damage. You should clean your boots regularly to keep them in good condition. If they’re covered in mud at the end of the workday, wash them off and let them air dry. It only takes a few minutes to do. Those few minutes can keep your boots in good condition for much longer. 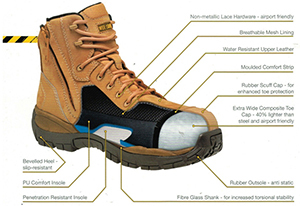 Work boots are made from high-quality materials like leather. You need to make sure that you’re using the right care techniques for the material. Never submerge leather boots. Cold water should be used for cleaning. You should also let them air dry instead of throwing them in a drying machine. All of these simple techniques will ensure that you’re not putting your boots through unnecessary stress. High-quality boots are an important part of your work attire. You need to make sure that they’re always in good condition so that they’re ready to provide you with protection when you need it most. Keep these signs of damage in mind so that you always know when it’s time to replace your boots.